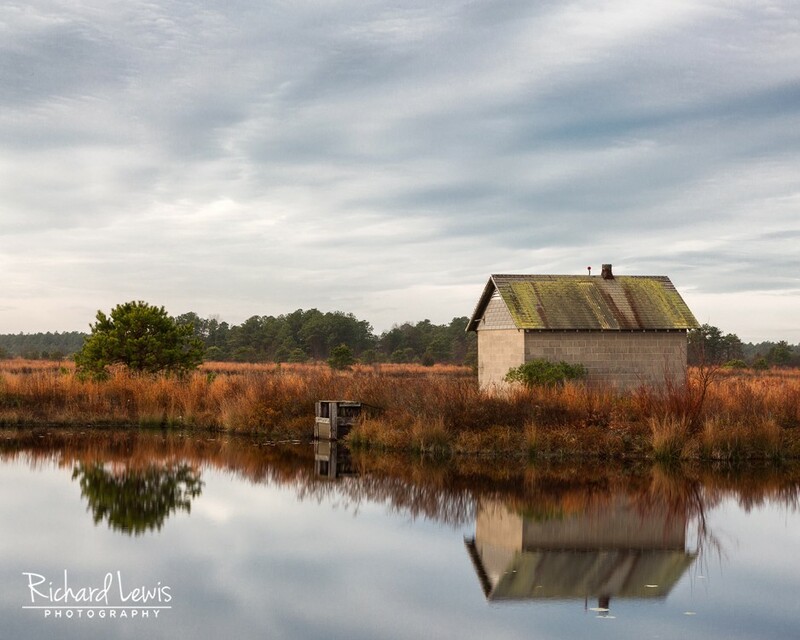 Local photographer, Richard Lewis, to showcase stunning images of the Pine Barrens in his exhibition of the Franklin Parker Preserve. For local photographer Richard Lewis, photography is more than simply capturing an image of a beautiful scene. It is about creating a mood and sense of emotion through the art of photography. Lewis has accomplished just that in his upcoming exhibition of the Franklin Parker Preserve in the Pine Barrens. Lewis has been hiking and photographing the New Jersey Pine Barrens for years. He has become known throughout South Jersey for his exquisite work documenting the unique landscape that exists here. One of his most treasured locations is the Franklin Parker Preserve. This is the New Jersey Conservation Foundation’s largest property with over 10,000 acres full of diverse landscapes such as pitch pine forests, cedar swamps, bogs, blueberry fields and tributaries of the Wading River. At the beginning of his career, Lewis was influenced by the great landscape painters and artists that exhibited in his mother’s gallery in New Hope, Pa. Through these influences Lewis has created his own style of photography which he calls “Painting with a Camera.” This doesn’t mean creating paintings out of photographs, but instead this expression encapsulates the multiple techniques used by Lewis to create different moods through his work. These techniques don’t only refer to post processing, but also the importance of understanding the weather and the creative impact the elements and lighting can have on creating an image. All of his care and attention to lighting and the elements is evident in Lewis’ upcoming exhibition that will be displayed at the Hansen Warner Building Gallery, located at 6 South Main St., curated by Patricia S. Worley of Twilight Blue Photography LLC. Please come to meet the artist himself and enjoy a night of intriguing photography. A portion of the sales from the exhibition will go to the New Jersey Conservation Foundation to assist in their efforts to preserve the natural land in New Jersey. The opening will be held on Friday, Jan. 20 from 6 p.m. to 8 p.m. The exhibition is also part of the Medford Art Walk on Main and will be open to the public on Friday, Feb. 10 from 6 p.m. to 8 p.m., Sunday, Feb. 19 from 2 p.m. to 4 p.m. and on Thursday, March 16 from 6 p.m. to 8 p.m. Private viewings can also be made by appointment by contacting Patricia S. Worley at (609) 694–3247. For more information visit Richard Lewis’ website: www.richardlewisphotography.com.